The Rialto Community Players are proud to officially announce auditions for their upcoming winter musical, Disney’s BEAUTY AND THE BEAST! 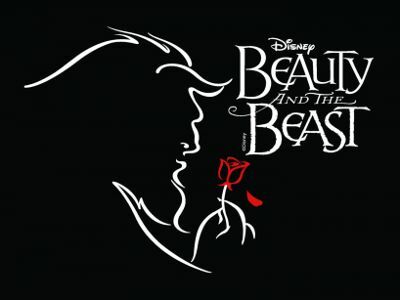 Continuing their 36th season with one of Disney’s biggest musicals, RCP brings the classic to stage, and you can be a part of it! Call backs will take place on Wednesday, November 14th at 7pm and are mandatory if given a call back. Please prepare 16-32 bars of a broadway style musical that will best show off your talents! Bring backing track via CD, MP3 or any auxiliary capable device to perform with. There is no A Capella allowed and there will not be an accompanist present. You may perform a piece from the show! Rehearsals will be Monday-Thursday evenings 6:30pm-10pm in Rialto. The first rehearsal/read thru will be November 19th. There will be a break for Thanksgiving (11/20-25) and Christmas/New Years (12/24-1/1). A saucy, enchanted feather-duster, and the object of Lumiere’s affections. She is the playful, gorgeous, seductive French maid. Three Silly Girls?The silly girls are three pretty young maids who swoon over Gaston. They are featured dancers who double as enchanted objects. The ensemble is very busy, as many of them are both townspeople and enchanted objects who appear multiple times. There are several solo lines in songs like Belle and The Mob Song, and many great dance numbers (Belle, Gaston, Be Our Guest,and Human Again). Several ensemble members will be wolves who fight the Beast. The wolves must be great dancers! If you have any questions please contact director Cameron Harris!! On behalf of the entire team, WE HOPE TO SEE YOU THERE! !